Chunhsi Andy Mu specializes in portfolio management, client counseling, post-grant proceedings before the USPTO and prosecution in a broad range of technical fields, including Internet, consumer electronics, e-commerce, business methods, telecommunications, sensors and other mechanical devices, and computer software. In addition to prosecuting patent applications, Mr. Mu has extensive experience formulating freedom to operate, clearance, non-infringement and invalidity opinions, and counseling clients on all aspects of IP procurement, management and enforcement strategy. Additionally, Mr. Mu’s practice also includes assisting clients in design patent protection. Mr. Mu’s client representations range from individual inventors to Fortune 500 multi-nationals in diverse industries on matters of both national and international scope. As such, Mr. Mu seeks to develop creative and customized IP strategies based on the unique needs of each client. These include strategic positioning in view of competitors and competing IP, tailored portfolio development based on client budget and goals, and efficient and cost-effective procurement on national and global scales. Recent successes include the development of a multi-million dollar patent portfolio for a joint venture of Global 500 companies, and the development and execution of an IP procurement strategy for an energy start-up that resulted in a multi-million dollar valuation of the company’s IP assets. Additionally, Mr. Mu’s global experience includes consulting engagements in Japan (Tokyo, Nagoya) and collaborating with legal counterparts from many countries including Japan, China, the U.K. and Germany. In conjunction with these engagements and partnerships, Mr. Mu frequently lectures on topics ranging from U.S. IP laws to USPTO guidelines and initiatives to prosecution strategy. Participants of these lectures have appreciated Mr. Mu’s ability to explain complex IP issues to non-native English speakers. As part of Mr. Mu’s counseling practice, he has guided companies in navigating the changes and intricacies of the post-America Invents Act (AIA) world. This has led to Mr. Mu assisting clients with the new inter partes review (IPR) process, in addition to strengthening his practice in more traditional post grant procedures such as ex parte reexaminations. Prior to joining the firm, Mr. Mu served in the National Institute of Standards & Technology’s (NIST) Intelligent Systems and Advanced Network Technologies Divisions. His work encompassed gathering topographical measurements for use in autonomous vehicle simulations, implementing and developing algorithms to simulate vehicle movements and traffic patterns, and engineering maps of a virtual test arena in various simulation languages. Mr. Mu earned a B.S. in Mechanical Engineering, with honors, and a B.S. in Computer Science from the University of Maryland. During his undergraduate career, he served as a research assistant in the Mechanical Engineering Department where he studied the characterization of flow and mixing characteristics of various screw configurations in twin screw extruders. He earned his J.D. from The George Washington University Law School, where he was a member of the Mock Trial Board. 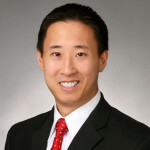 Mr. Mu has been recognized as a Rising Star by Super Lawyers since 2015. Mr. Mu is a contributing author of The American Bar Association’s Legal Guide to Video Game Development (2011). Mr. Mu is currently editing a book on helping start-ups and small companies navigate IP issues. Mr. Mu has also served as an assistant adjunct professor in copyright law at the George Mason University Law School. He is conversant in Mandarin. Mr. Mu practices in the Washington, DC office of Banner & Witcoff, Ltd. and has served as a member of the firm’s Board of Directors since 2015.